Michigan law states that the owner or possessor of property has a legal duty to make the premises reasonably safe for guests and business invitees. 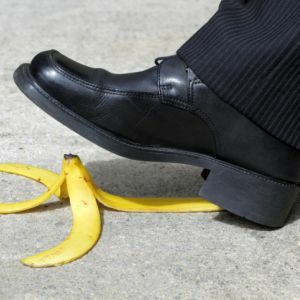 If you were the victim of a slip and fall injury on property you believe did not adhere to this Michigan law, you may be eligible to file a lawsuit against the property owner. Our experienced Michigan slip and fall attorneys will get all of this information and evaluate your case. Your choice of a lawyer can be the difference in receiving a substantial settlement or no settlement at all. Call us today (800) 606-1717 to discuss your case and find out how to get the best compensation for your case. An experienced accident attorney will evaluate your case and explain how we can help you get the highest possible settlement. We do not charge any legal fees unless we are able to win your case and recover compensation for you. There is absolutely nothing to lose, so contact our award winning attorneys today!